A Cut Above: Complementary hair products, coupons for hair & nail services, hot chocolate & cookies. Berry Insurance: Broadcast from WODS-FM 103.3. Boston Sports Club: Pictures with Scooby Doo, goodie bags at Dean Bank. Dean College: 4:30pm tree lighting, caroling and holiday snacks. Come cheer on the Bulldogs at the Women’s Basketball game, 6pm, and Men’s Basketball Game, 8pm, in Pieri Gym. Free Admission! Digital Federal Credit Union (DCU): Candy for kids at the Mobile Branch in Simon’s Parking Lot. Downtown Consignment: Beverages & refreshments, 20% off coupon for evening of Stroll. Emma’s Quilt Cupboard: Quilt sample sale. Make a wool felt ornament. Franklin Dance Workshop & Co.: Holiday entertainment at Simon’s Furniture parking lot. Goodie bag give-aways. Franklin Food Pantry: Open House 4:30-8pm. Accepting donations from Holiday Needs List. Franklin Historical Museum: Busy Bee Crafters will have holiday gift items for sale. Enjoy holiday music. 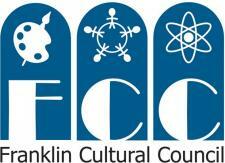 Franklin School for the Performing Arts: Theater Troupe performance and stocking takeaway. H & R Block: Goodies, free second looks, free tax return raffle. Hair @ Nail It: A free manicure with a canned good donation for the Franklin Food Pantry. House Portraits by Deb: Calendar collage of Franklin paintings. Jane’s Frames: Hot cider and gingerbread cookies, Free Drawing for Framed Art for all those that sign up for Wish List for Holiday Gifts. Party Paints N’ Pottery: Mulled cider, cookies and a free ornament to paint. Printsmart: Free one-subject notebook for all kids who come into the store. RE/MAX Realty: Condo Tours and a Hospitality Suite with refreshments for all ages. Rick’s Restaurant: A cup of Rick’s award winning chowder with purchase of an adult entrée. Mention the Holiday Stroll to receive this mouth-watering offer. Salon Sorella: 20% off gift cards ~ first 50 people to purchase a $100 gift card will receive it for $50. One per family-offers cannot be combined. SELF Aesthetics and Therapeutic Specialists: 5 minute chair massages, coupons and raffle for a free service. Simon’s Furniture: Meet Santa from 5-7pm.